Found any typo across the site? Post them here! Suggested edit: Please read through the following rules carefully before you start posting on the forums or play the game. Violating the rules may cause you to lose certain rights and/or may even result in a permanent ban from this site. Edit: Whoopsie guess I got beat to it. 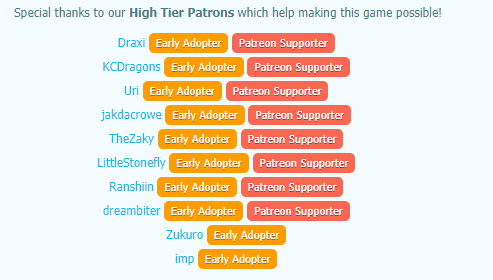 The last two Patrons listed don't have the Patreon Supporter role. Thought it was worth pointing out! You can choose to have your computer warn you each time a cookie is being sent, or you can choose to turn off all cookies. You [can] do this through your browser settings. Since [every] browser is a little different, look at your browser's Help Menu to learn the correct way to modify your cookies. the following email adress and we will promptly remove you from ALL correspondence. With the word 'E-Mail', I don't think it's classed as a spelling mistake, but it just looks weird to me for the 'M' to be in upper-case. I think it should either be 'email' or 'e-mail'. That's all that I noticed for the moment. I corrected all mistakes, thank you very much for going trough this! Looks like there's a few on the main page. Hearts is missing an apostrophe, and the second paragraph is wearing an unnecessary hat. Satisfy your Pixpets needs and give them potions to increase the success of their hoards. The Pixpets hatch from eggs and feature a level which ranges from 1 to 100. In order to increase its level, a Pixpet must gain hoard experience trough successful hoards. Satisfy your Pixpets' needs and give them potions to increase the success of their hoards. Also in the forum rules header thing. 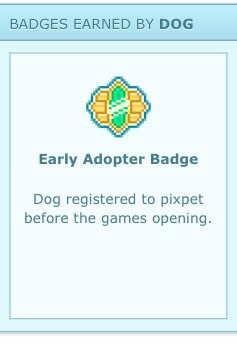 Pixpet as a whole is a completely SFW (Save For Work) space. Fixed that one, the other one needs to be fixed by Komodo. "Trough" should be "through" and "tutorials" should have an apostrophe. "Games" is missing an apostrophe. Your house essentially defines how much space you have for your Pixpets, pumpkins, plants and decorative items. Houses are divided into different House Parts. The bigger the house, the more house parts it has. Each house part can be up to 10x10 (100 tiles) big. House parts are divided into two categories: Inside and Outside which defines what items can be placed in them. Outside house parts like the Frown Yard and Backyard hold Pumpkin Slots. The number of Plant Slots is defined by the house type and can vary. The number of Pixpets each house part can hold depends on the house part type and size. Some house parts cannot hold any Pixpets at all, like the Attic or Basement. Also, some houses have house parts which need to be bough additionally. It should say "Front" and "bought", respectively! An European style two storey house with an additional attic. Should be "A European" (since the Eu is pronounced like a Y), as well as "story". A two storey house with an additional attic. Should all be "story" as well!